The Colombian Caravana, the Foundation of the Spanish National Bar Association (Fundación de la Abogacía), the International Observatory of Lawyers, Lawyers for Lawyers and Lawyers’ Rights Watch Canada, concerned about the downscaling of protection measures provided to human rights lawyer, Adil Meléndez. 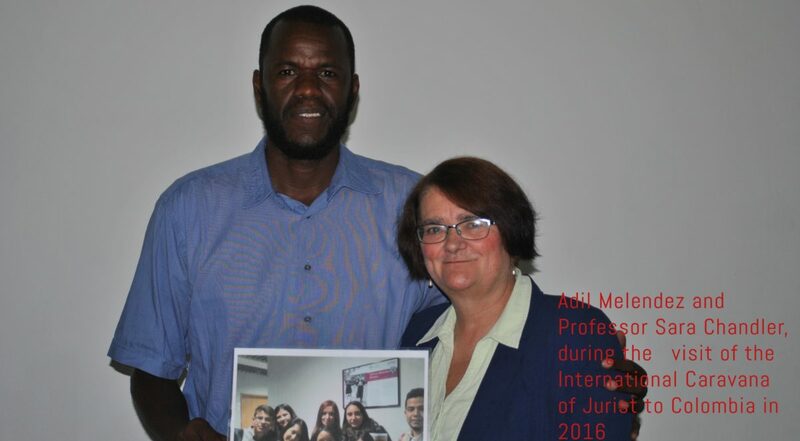 Adil Melendez is a human rights lawyer from the Caribbean area, who works resenting victims of illegal land grabbing, people murdered by paramilitary forces, and collective actions against members of the police and armed forces. Due to the risks faced because of his work, Adil has been granted state protection measures since 2007, which have progressively been downsized over the years although his risk remains very high. The signing organisations are very worried about Adil’s safety and ask the Colombian government to guarantee Adil’s safety.